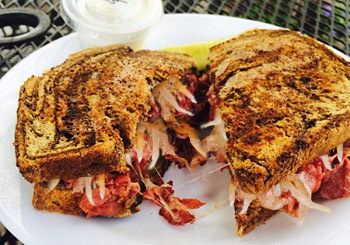 Sliced pastrami & sauerkraut, Southwest sauce, melted Swiss nestled between marble rye. 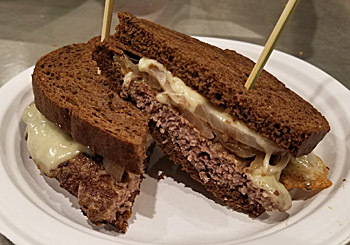 10 oz of ground beef on marble rye with grilled onions melted Swiss & a touch of smoked chipotle aioli. 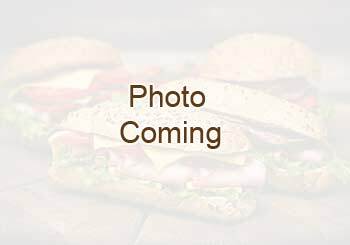 Grilled Smoked Turkey, bacon pieces, melted smoked gouda cheese, lettuce, tomato & Curly Bill Southwest sauce. Boneless skinless chicken breast glazed in teriyaki, with melted Swiss. Grilled peanut butter and raspberry jam on thick cut Texas Toast & served with homemade Texas chips. Sliced pastrami & and huckleberry-apple coleslaw on marble rye, southwest sauce, Swiss cheese. Grilled poblano chile & mushrooms, avocado, tomato, onion, & two kinds of cheese, choice of bread or lettuce wrap. Note* Jaspers deep fry's in peanut oil.